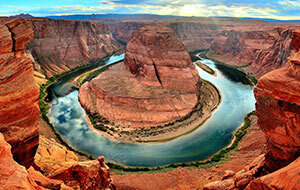 The Grand Canyon is one of nature's most amazing natural wonders. Whether you want to view the Grand Canyon by helicopter, plane, river raft, horseback, jeep or on foot, the Grand Canyon Plaza Hotel has the perfect touring adventure. When you stay at the Grand Canyon Plaza Hotel, you are just one mile south of the entrance to the Grand Canyon. Enjoy all the wonderful amenities of our hotel and be close to all the adventure of the Grand Canyon. Select one of the following tours and we will be happy to help you, your family or group set-up all the arrangements. Contact the concierge at the Grand Canyon Plaza Hotel at [email protected] or 800-995-2521 to get your tour booked. 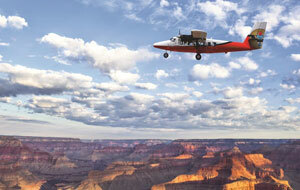 Fly over the deepest and widest part of the Grand Canyon! This exciting tour puts you in the action with a great view to this natural wonder. 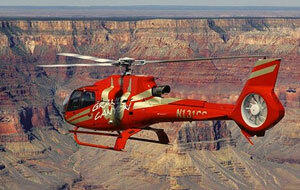 You will enjoy the canyon's legendary beauty in a jet-powered Bell Helicopter. You will fly over the widest - 20 miles - and deepest - over 6000 feet - part of the Canyon. This is a great flight if you want to experience the excitement of flying over the Canyon. The duration of this tour is 20-25 minutes. Upgrade to the Eco Star which is a little larger helicopter, quieter and a better viewing. Flying the lowest and slowest, this tour is a photographer's dream come true! Go further into the heart of Grand Canyon with this spectacular tour of the Eastern Gorge all the way to the Imperial Point. 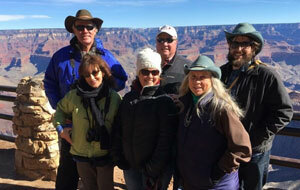 This tour combines the best of the Grand Canyon with wonderful views of the Painted Desert and the Colorado River. This is the ultimate in breathtaking beauty of the Grand Canyon. The duration of this tour is 45 minutes. Upgrade to the Eco Star which is a little larger helicopter, quieter and better viewing. *All flights equipped with German, Spanish, Portuguese, Italian and French translation. Fly over the canyon in a specially designed sight-seeing plane for maximum viewing of this spectacular wonder of the world. 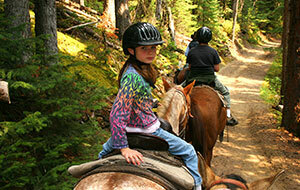 This is a popular and affordable way to see the Canyon. 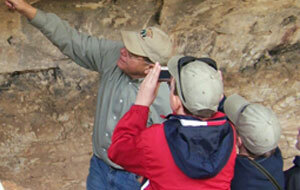 This 40-50 minute tour flys from the Grand Canyon Airport. 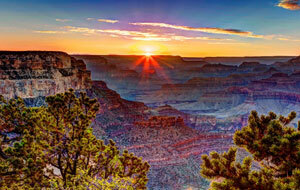 You will enjoy a "front row" seat to the Natural Wonder of the Grand Canyon. You will experience the famous "Confluence" of the Little Colorado and Colorado Rivers and marvel at the constantly changing colors and shadows of the canyon. Your flight includes individual headphones in several languages. This is no ordinary skydive, with breathtaking views of the Grand Canyon, possibly the most awe inspiring natural feature in the country, if not the world, this is a once in a lifetime experience. Visitors can expect spectacular views of the Grand Canyon as they ascend to jump altitude. 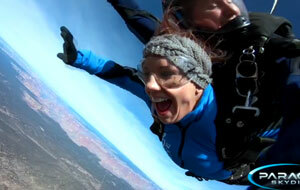 Sitting on the edge of the plane and experiencing free fall is a major adrenaline rush like no other. The flight under canopy is surprisingly peaceful, quiet and surreal. Completed with a licensed and experienced Tandem Instructor they look after all the hard stuff so you can relax can enjoy the ride. 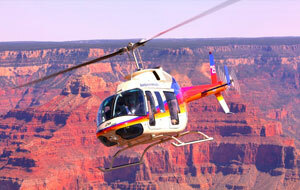 We operate from the Grand Canyon National Park Airport at the South Rim and are open 364 days of the year. Book your skydive through the concierge in the hotel today! Enjoy a one hour flight over the Grand Canyon as you make your way to Page, Arizona. Upon arrival you will be served a continental breakfast. 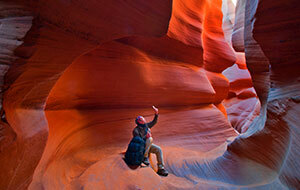 After breakfast you are on your way to Antelope Canyon for a spectacular tour of this mysterious canyon. After your tour you will be driven to the start of your smooth water tour on over 15 miles of the Colorado River - approximately 4 hours on the river - which will include a picnic style lunch on the river. This wonderful day trip includes transportation aboard a luxury motor coach or van to and from Glen Canyon National Recreation Area, transferring through the Grand Canyon National Park, the Navajo Indian Reservation and the Painted Desert. You will board an inflatable, motorized 15-22 passenger river raft at the base of the Glen Canyon Dam in Page, Arizona and cover 200 million years while leisurely floating 15.5 river miles of spectacular scenery on the mighty Colorado River. Start your day by marveling at the famous California Condors, viewing fossils that date back millions of years in the history of the Canyon and enjoy sights of the major formations of the canyon as you travel along the rim. Also visit the Cameron Trading Post, one of the oldest Trading Posts in the area for lunch before your journey continues along the Painted Desert. Stops include a secret petrified wood site and of some of the most spectacular views of the canyon including a view of the Little Colorado River. You will have the undivided attention of an expert guide on this 12 passenger van tour who will amaze you with facts about geology, culture, history, wildlife and vegetation. 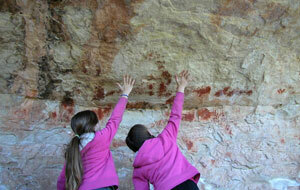 Find out about how the Indians survived in this environment. If you only have one day to see the Canyon, see it up close and in person with this company founded by a geology professor and a former National Park Ranger. The tour price includes lunch at the trading post restaurant. Tour departs hotel at 9:30AM and returns at 6:30PM. E-mail: [email protected] to get your tour booked today!